Explore tourism in Kenya, to urban sprawl in Dubai, and the cautionary tale of Unawatuna beach in Sri Lanka. 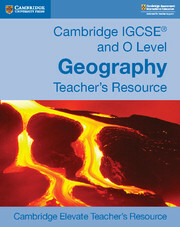 This revision guide helps students understand the processes that affect physical and human environments on a local, regional and international scale. 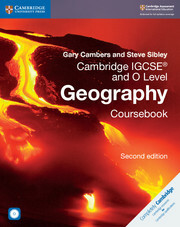 With detailed descriptions and explanations of geographical topics and themes, the revision guide complements the variety of activities in the coursebook and reinforces understanding. Exam-style questions, international case studies from across 5 continents and a chapter on geographic skills give students practice with course content and skills in preparation for assessment. 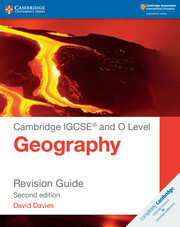 Sample answers to all of the revision book questions are in the back of the book. Case studies from across 5 continents provide opportunities to practise skills. Exam-style questions and sample answers help students develop their skills in preparation for assessment. Self-test questions alongside topics provide students with useful activities to help reinforce concepts. The full-colour design supports development of map reading skills and aids navigation. 22. Answers to chapter activity and exam-style questions.